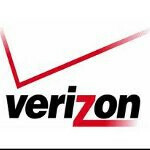 Verizon Wireless has launched a trade-in program in multiple states in the southern part of the US that offers customers up to a $300 credit towards a new device when they trade in their old one. program is limited to the south however. The states able to take advantage are as follows; Alabama, Arkansas, Florida, Georgia, Louisiana, Mississippi, North Carolina, Oklahoma, South Carolina, Tennessee and Texas. Word on the street is that non-smartphones will automatically qualify for a $50 trade-in credit. Smartphones on the other hand will need to be brought in and evaluated by a Verizon employee to determine the value of the trade. And of course, that value can be as great as $300. If Verizon’s trade-in program is anything like the many other trade-in programs that are already out there, then getting the full $300 credit may be quite hard to obtain. More than likely you will need to trade in a handset that is still somewhat new to the market and is in pristine condition to reach that amount. But then again until we hear some stories about what Verizon is really offering that is really just speculation. 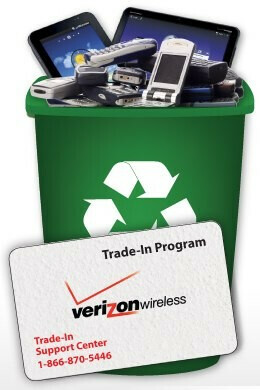 Verizon seems prepared to offer this trade-in program throughout the remainder of the year. If you are a resident of one of the aforementioned states and are intrigued by the thought of owning a Samsung Galaxy Nexus or a Motorola DROID RAZR then head on over to your local Verizon store and take advantage of this new offer. so..... What kind of a trade in is this? does it require a brand new contract renewal? is this another way to get you to jump into tiered data you think? there needs to be a lot more details before i'm ready to throw myself at verizon like that..
let me know what they say!! It does require a contract renewal, but they told me I could keep my unlimited data plan. Of course I have to use my "new every two" option and I don't get that again... They offered me $300 for my iPhone 4 32 gb. Verizon's trade-in program is a joke. I get more from the online trade-in sites that I always use and I don't have to sign another contract. This "program" is just to get you to sign on again for another contract. SellMyOldCellPhone.com is the best one I have used to trade-in and I don't have to sign another contract. Gazelle is the worst. Verizon only offers this when you renew your contract. Is this a different program then the crappy one that's online?? I have an upgrade available but if I can offload my bionic and pay similar prices then I would much rather take that route. i went to the store and i was offered $85 for my Droid 3 and $112 for my Bionic. this isn't what i had in mind. i don't think my Verizon knows what is going on. what experiences have you guys had so far?